The Blackland Prairie region of Texas runs from the Red River along the border with Oklahoma down to San Antonio. Throughout the ecoregion, there are rolling hills and level plains. The rainfall decreases the farther west you travel, but the entire region receives adequate precipitation most years. The soils are fertile and the region is highly agricultural with farms and ranches found throughout the ecosystem. Traditionally, many of the farms grew cotton, however that has shifted and today hay, corn, wheat, and sorghum outpace the cotton farms. The Blackland Prairie region is also known for providing exceptional wildlife habitat hosting many of the state’s native species, including the beloved bobwhite quail. Much of the native prairie in the region was converted to farming by the end of the 1800’s, it is estimated that only .5 percent of the landscape has never been plowed. After the Depression, many small farms went out of business and the prairies, which require disturbance through fire or grazing, started filling in with mesquite and juniper. 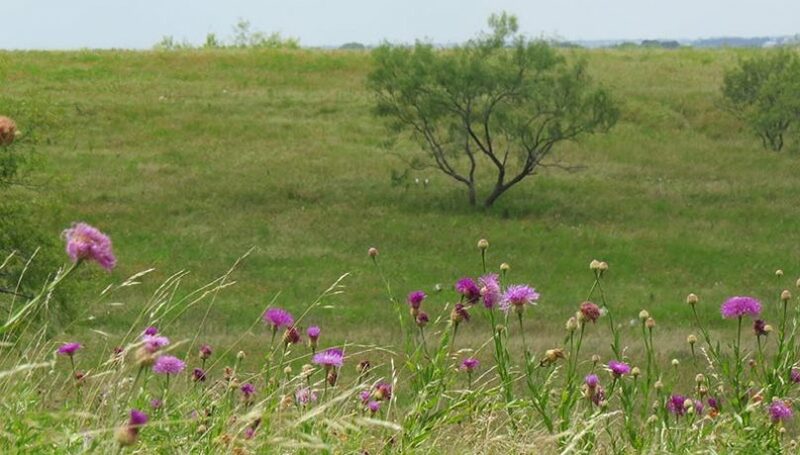 In addition, the vast metroplexes of Dallas, Austin and San Antonio are found within the region and with 1,300 people being added to the state’s population every day, development is fragmenting many of the remaining grasslands. As a result, the transition and fragmentation of the native habitat has had a significant impact on some species, most notably bobwhite quail. While coveys could still be found, they were increasingly isolated and those remaining quail were declining. Statewide, bobwhite populations have declined by about 5.6 percent per year since 1980, representing a loss of almost 75 percent of the birds. 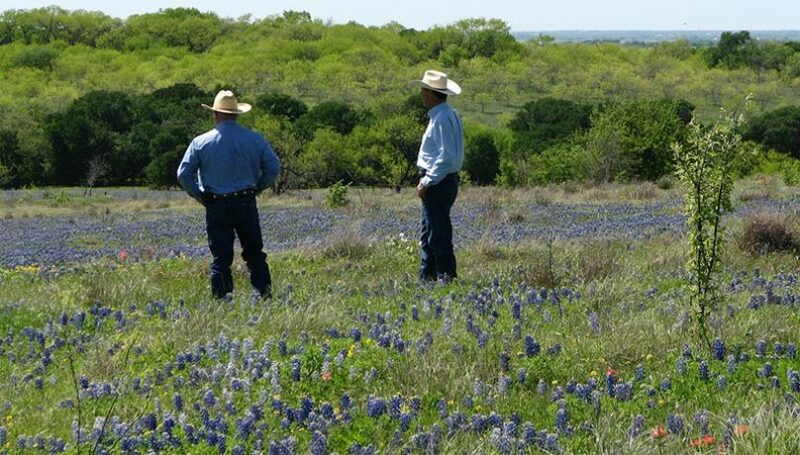 PFC board member, Gary Price’s 77 Ranch near Blooming Grove has become a model of grassland restoration efforts. 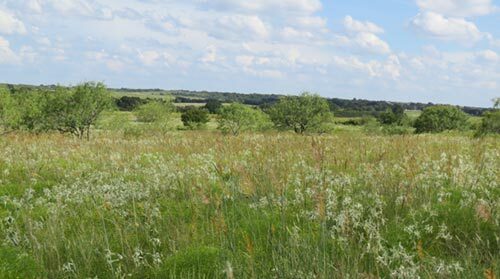 While several hundred acres of his property did have some of the rare unplowed ground within the region, much of it had been overrun by mesquite or reseeded to (KR) bluestem, a nonnative grass from Pakistan that out competes the natives and becomes a monoculture. 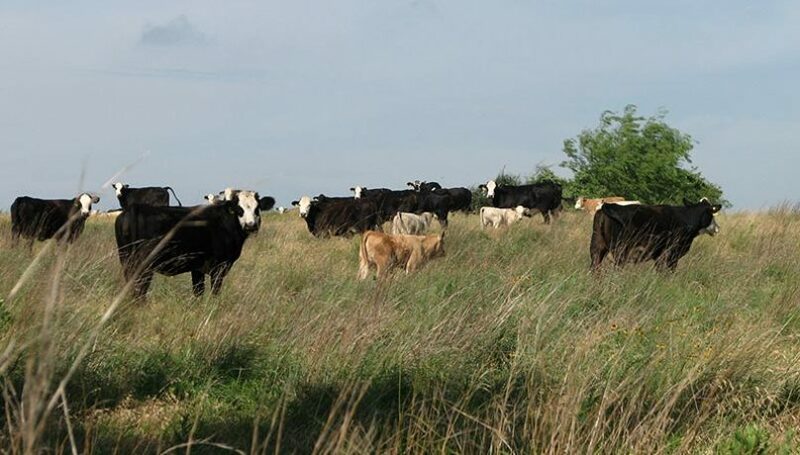 Price, a Texas and Southwestern Cattle Raisers Association Director and Chairman of both the Texas Grazing Land Coalition and Blackland Prairie Grazing Land Coalition, and his family worked hard to restore the native tallgrass prairie on their ranch. They reseeded with a native mix of big and little bluestem, indiangrass, sideoats gramma (the state grass of Texas) and eastern gammagrass in riparian areas. The changes were making a difference for many native wildlife species, but bobwhites were still uncommon. 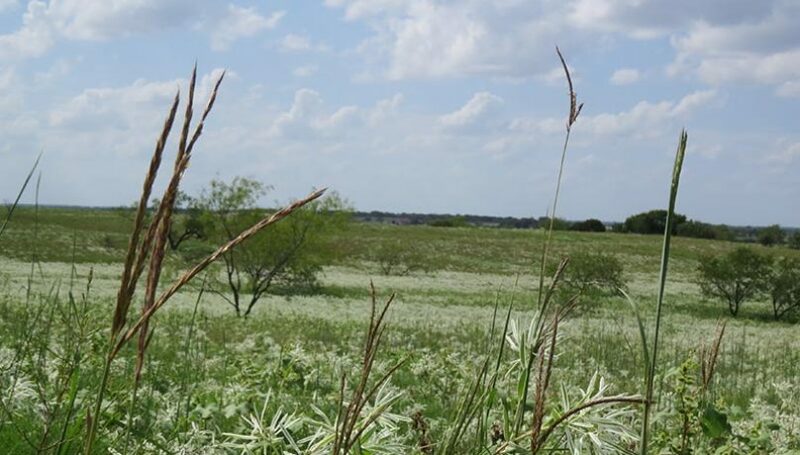 Ten years ago, Price began working with the Texas Parks and Wildlife Department (TPWD) to implement habitat projects specifically for quail. That partnership blossomed into the Western Navarro Bobwhite Quail Recovery Initiative (WNBRI) that now has 50 participating landowners representing more than 50,000 acres of land. 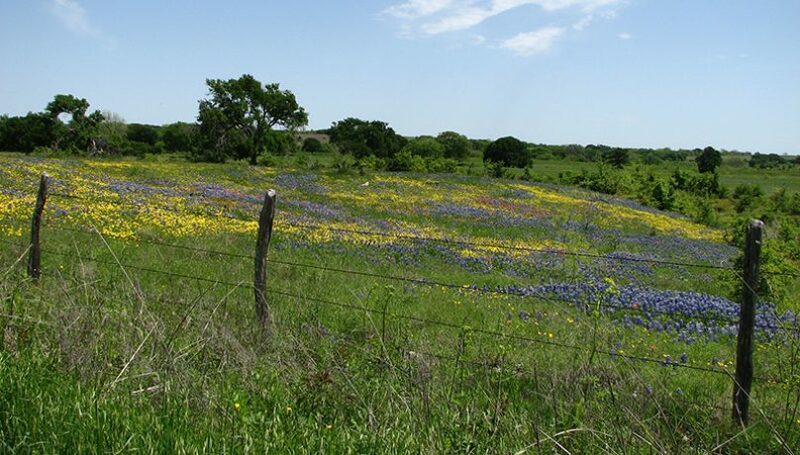 The landowners are working together with TPWD to restore native grasslands in the region; funding for the quail habitat restoration comes through the Natural Resources Conservation Service’s EQIP program and other sources. Perhaps more exciting is that in October 2016, the partners embarked on the latest phase of the project – TPWD captured wild quail from south Texas and released them on the 77 Ranch. In the coming months, more than 200 wild quail will be released on other restored grasslands within the WNBRI partnership with the hopes of rebuilding a stable, wild population of quail. Ten percent of the birds released will be marked with radio telemetry devices providing valuable data to help monitor and further refine the restoration effort. The Western Navarro Bobwhite Quail Recovery Initiative has had numerous partners working with the local landowners, starting with the Texas Parks and Wildlife Department. Technical and financial support has come from federal agencies including the U.S. Fish and Wildlife Service’s Partners for Fish and Wildlife program and the Natural Resources Conservation Service. Other organizations have also participated, including the Oaks and Prairies Joint Venture, National Wild Turkey Federation, Audubon Texas, Prescribed Burn Alliance of Texas, and Texas A&M’s AgriLife Extension. 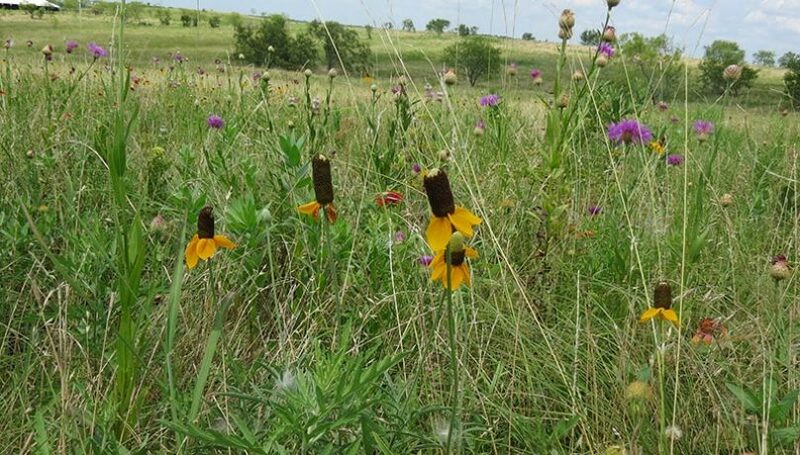 While the quail translocation program is too new to provide any results, the native grassland habitat restoration improvements have been significant. Projects ranging from reseeding with native grass mixes, cross-fencing for rotational grazing, mechanical clearing of mesquite, and more are underway. The hope of bobwhite quail restoration in the Blackland Prairie has also generated a higher level of interest in and awareness of the power of public-private partnership to landowners in the area. In addition, the work is an important piece of the ongoing effort to raise the functional status of Trinity River watershed which has attracted a much broader diversity of partners from water supply companies to industry. The Trinity River provides water to two of the states largest urban areas (Dallas-Fort Worth, Houston). Visit Western Navarro Bobwhite Recovery Initiative website here. Copyright 2017 Partners for Conservation. All rights reserved.